Playing, trying new things and testing limits are right on top of the agenda in the Labyrinth Kindermuseum (Museum for Children) Berlin. 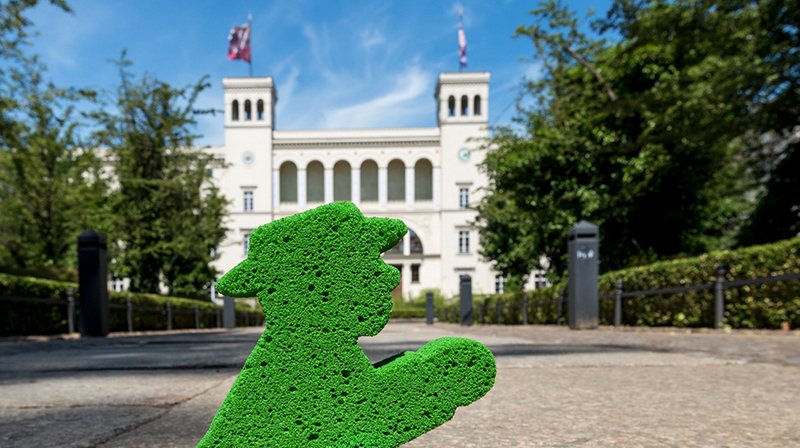 The Ampelmann has visited the exhibition “Platz da! 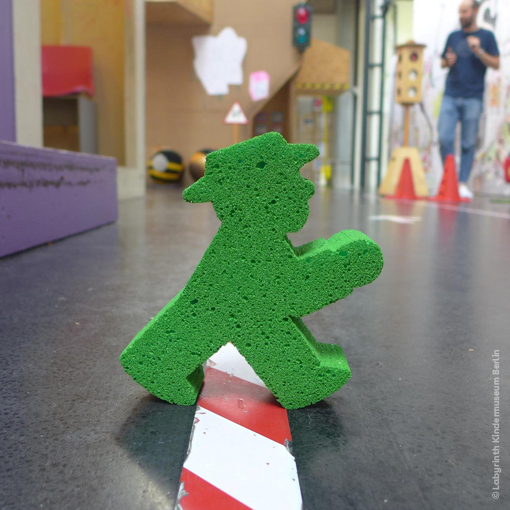 Kinder Machen Stadt” (Give kids room to create their city) and tested the museum for you. 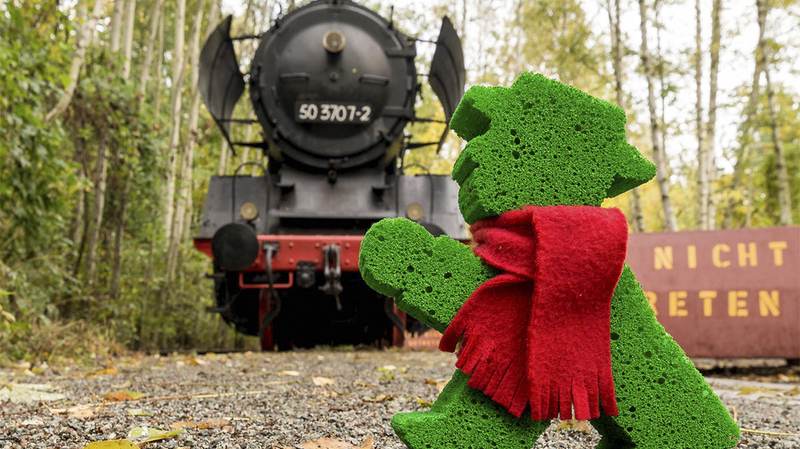 The exhibition was a DIY project for children, their families and the Ampelmann. In the beautiful old factory building, one could playfully experience the city in four exhibition areas – the planning office, the construction site, in houses and the inner city traffic as well as in the backyard. On site, the Ampelmann has maneuvered the crane, helped build a tent and was busy in a grocery shop and on the road. Of course, the Ampelmann is passionate about road safety education (did you see how the car has stopped when he hopped across the street?). Here, the educational part took place very playfully. Thus, children got to know how to navigate the roads without being in danger. 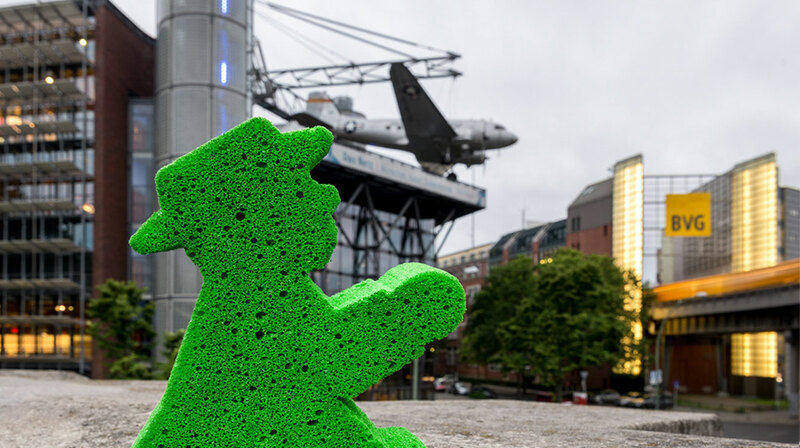 They learned about the traffic rules and how important the red and green Ampelmännchen are. … the interactive exhibition called “Platz da! Kinder Machen Stadt” (Give kids room to create their city) was open from September 2016 to April 2017. Every month was dedicated to another city related theme or aspect: for example city & nature, city & play or city & welcome.